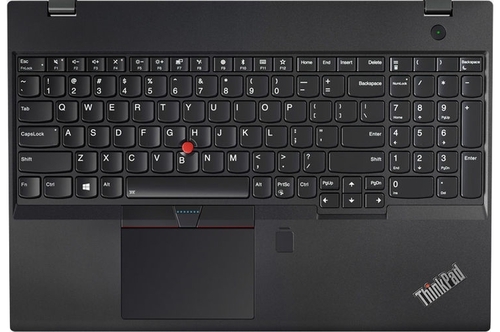 There is no question that the Lenovo ThinkPad P51 is an impressive 15.6-inch mobile workstation and one of the top-performing contenders in its class. The 15.6-inch form factor is very popular among mobile workstation users, especially when it offers crystal-clear 4K resolution, and although it's not super light, it’s easy enough to take on the road. Those who crave still more power at the expense of some portability can check out the larger, heavier model P71. Overall, the ThinkPad P51 combines excellent workstation-grade performance into a solid 15.6-inch chassis that can take a beating. We’d like to see it come with a longer standard warranty period than one-year, but otherwise have little to complain about. The ThinkPad P51 combines workstation-class general performance and graphics with a colorful display, durable design, wide port selection and all-day battery life. We wish that the laptop were lighter, that its screen were a bit brighter, and that we could access the power and Thunderbolt ports without reaching around to the back, but power-hungry users can easily deal with these trade-offs. Positive: Compact size; high autonomy. Negative: Relatively high price; weak hardware; average performance. NVIDIA Quadro M2200: Mid-range workstation graphics card based on the Maxwell architecture (28nm GM206 chip similar to the new revision of the Geforce GTX 965M).NVIDIA Quadro M520: Mid-range workstation graphics card based on the 28nm GM108 chip with 384 shaders and a 64 Bit memory bus. Most likely based on the consumer Geforce 940MX with GDDR5 graphics memory.» Further information can be found in our Comparison of Mobile Graphics Cards and the corresponding Benchmark List. E3-1535M v6: Professional quad-core notebook processor based on the Kaby Lake architecture running at 3.1 - 4.2 GHz. It is the top model of the Kaby Lake H-series in the beginning of 2017 and therefore also the fastest mobile processor. The chip also integrates the professional HD Graphics P630 GPU with certified drivers clocked at 350 - 1100 MHz and is manufactured in a 14 nm process (improved compared to Skylake).Intel Core i7: The Intel Core i7 for laptops is based on the LG1156 Core i5/i7 CPU for desktops. The base clock speed of the CPUs is relatively low, but because of a huge Turbo mode, the cores can dynamically overclock to up to 3.2 GHz (920XM). Therefore, the CPU can be as fast as high clocked dual-core CPUs (using single threaded applications) but still offer the advantage of 4 cores. Because of the large TDP of 45 W / 55 W, the CPU is only intended for large laptops.